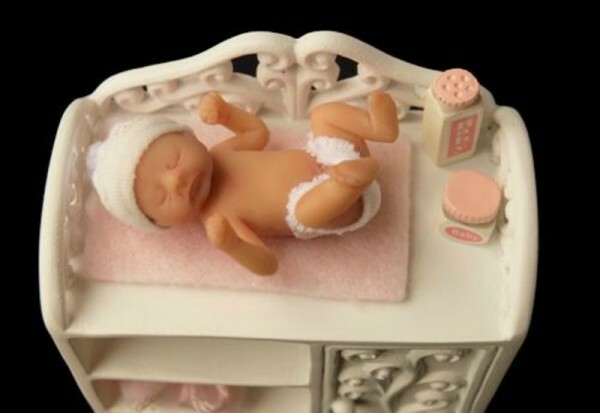 Is there anything sweeter than a newborn baby? How about one that fits in the palm of your hand? 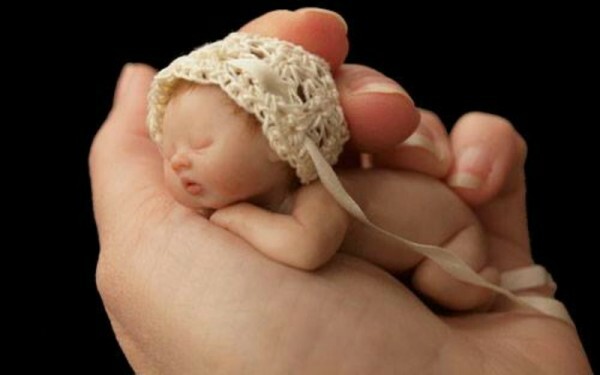 You won’t believe how incredibly small, sweet and lifelike these little dolls are. 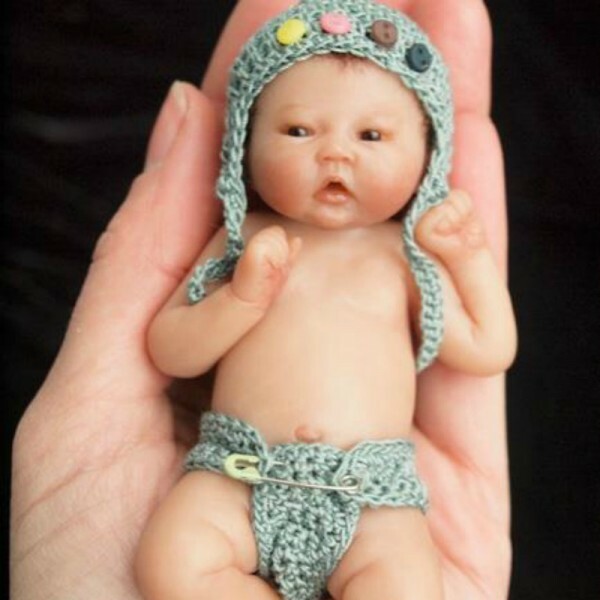 If you’re ever considered having another baby but are not quite ready for the cost and commitment (not to mention the pregnancy and birth), then we have a solution – Camille Allen’s little dolls. 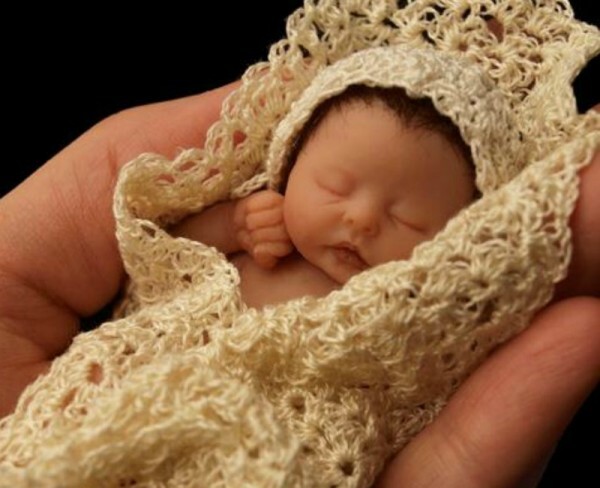 You don’t have to be a lover of dolls to appreciate the incredible talent and delicate detail that went into designing these teeny tiny treasures. 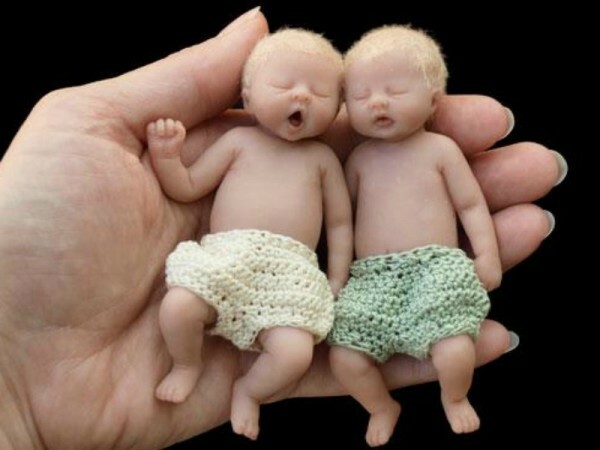 Handcrafted by Canadian artist, Camille Allen, these lifelike little ones will make you do a double take. What started as a hobby and a way to spend time with her grandmother-in-law has transpired into a unique and fascinating career for Camille. 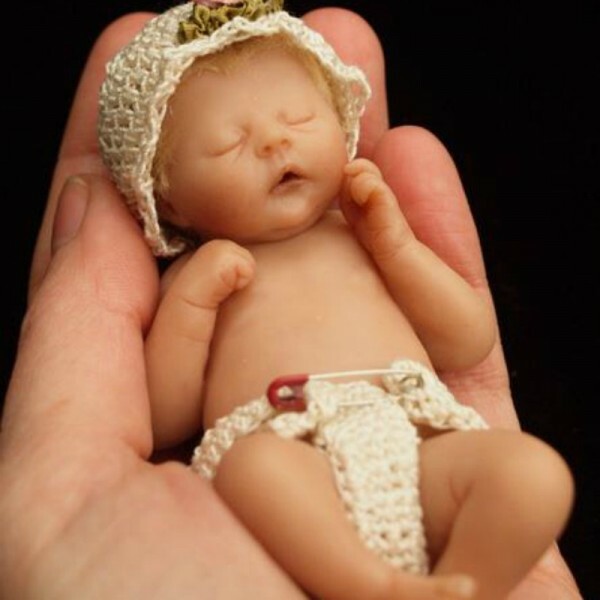 The cute cherubs are made from polymer clay and resin and her series of sweethearts have been featured in magazines and exhibitions around the globe, including New York and Dubai. Every baby has a unique birth story and Camille’s little angels are no exception. 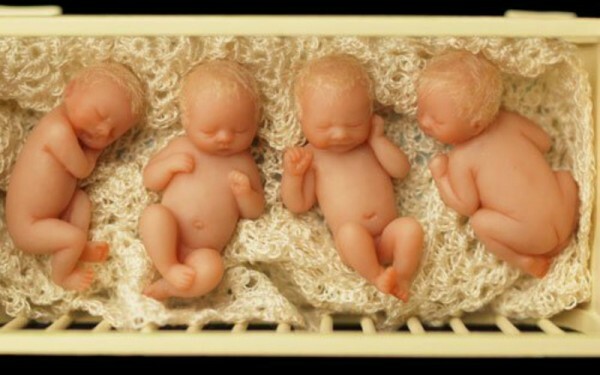 Each wee one comes with a name, birth weight and unique look. While some are wide-eyed like baby Melissa (above), others are crafted still asleep like little Ellie (below). 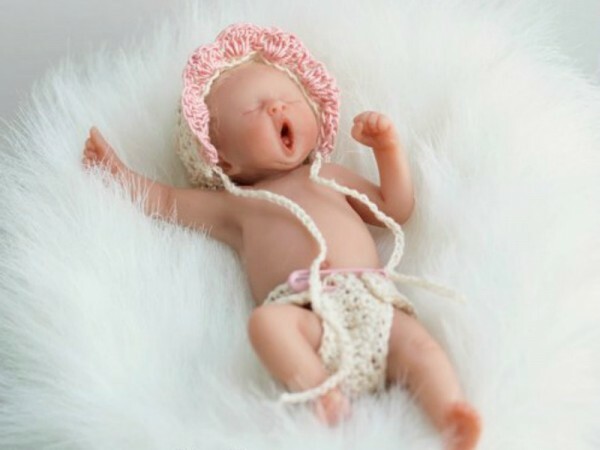 Their positions are also incredibly life-like with some posing with their bottoms in the air, some with arms outstretched and some cradling their faces, characteristic of your typical newborn photo shoot poses. 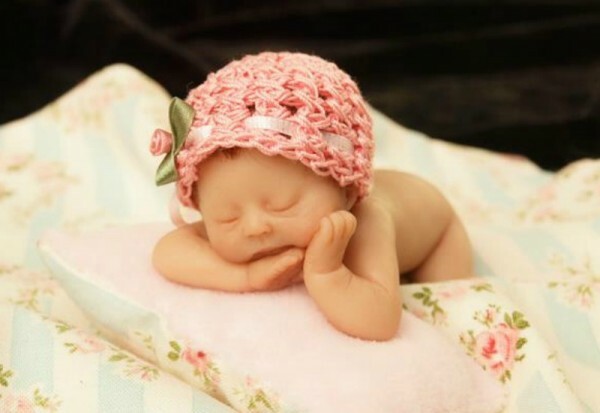 Most are wearing some sort of adorable knit outfit such as a hat like little Cameron (above) or a nappy set like twins Elias and Elsa (below). There are even accessories for the wee ones, including a scale, bassinet, cradle and change area. Her petite prince and princesses start at $99 but limited edition little ones can cost up to $1200. Clearly, they’re not a doll we’d recommend giving to little kids, but older girls with gentle hands might quite like them. They are available on her website or head over to Camille’s Facebook page to cluck over all her tiny treasures including Lilou (above), Emma, Adelaide, Lauren, Carter, Natalie, River, Amira, Lois, Molly, Beatrix and Zuri. Want to see something else that is equally incredible and adorable? 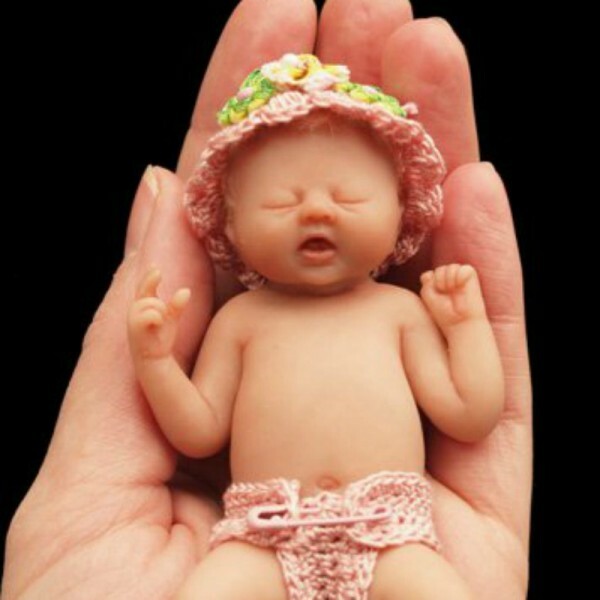 Check out these babies who look exactly like their dolls.